The Hcigar Akso Pod Kit is the first Pod Kit from Hcigar! The Akso Pod Kit features a 350mAh built-in battery, which can be fully charged in 1.5 hours. With the true closed loop system of Akso Pod, you only need a simple breath to experience mellow vapor and pure flavor. With the 1.5ml capacity, the Hcigar Akso Pod will satisfy your daily use. Besides, the Akso Pod adopts ceramic coil with environment-friendly inorganic heating wire and no button design, which will definitely give you an amazing vaping experience with easy operation. Located on the Bottom of the Akso Pod is the battery life indicator, Blue being 100% to 70%, Green being 70% to 20%, and Red being 20% and lower. The HCigar Akso Pod is a great ultra portable device for users looking for a device on the go! NOTE: There is always an inherent risk when using any rechargeable batteries at anytime and under any circumstances. 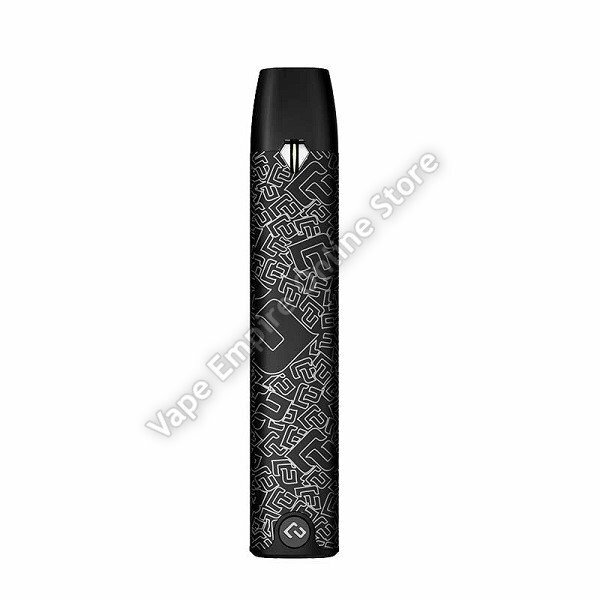 Vape Empire Online Store and any or all of Vape Empire's parent and subsidiary companies are not held responsible for any damage for any modification of the batteries, chargers, devices and other products that we carry in any form or shape, this is including pack making. Vape Empire Online Store and any or all of Vape Empire's parent and subsidiary companies will not be held responsible or liable for any injury, damage, or defect, permanent or temporary that may be caused by the improper use of a Li-ion (Lithium-ion), LiPo (Lithium-ion Polymer) and any rechargeable battery/batteries as well as chargers. Please have a greater understanding of the batteries/chargers you are using and how to care for them properly. The materials appearing on Vape Empire Online Store could include technical, typographical, or photographic errors. Vape Empire Online Store does not warrant that any of the materials on its website are accurate, complete, or current. Vape Empire Online Store may make changes to the materials contained on its website at any time without notice. Vape Empire Online Store does not, however, make any commitment to update the materials.